I had Spoonflower print a couple of my digitally altered photos. 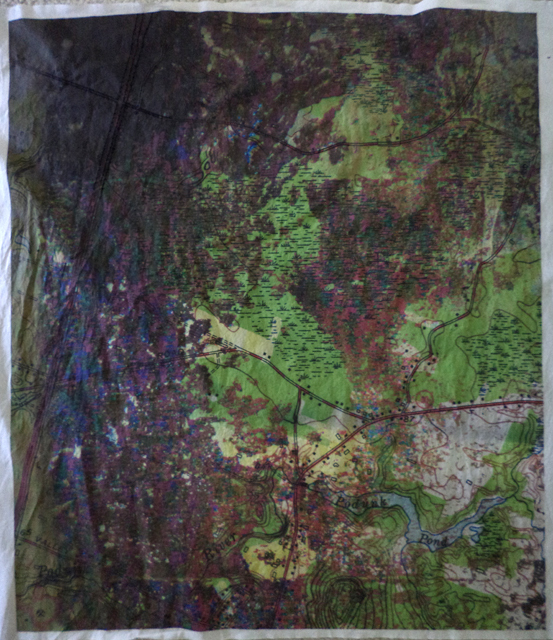 This one is on their 100% combed cotton fabric and includes parts of a topographic map; more viewing the earth from above. 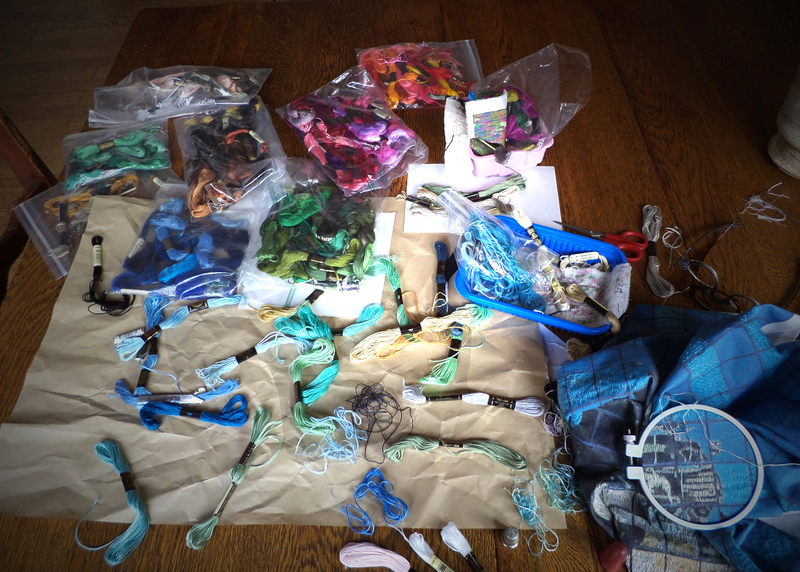 I began embroidering on Sunday March 31, 2013.